Earlier this week we attended the dazzling VIP opening of Josephine, a new seafood-centric restaurant on the Plateau. We rubbed elbows with local celebrities while guzzling bubbly and slurping back oysters before taking to our tables for a special tasting menu that featured a number of the restaurant’s dishes plus a few special treats. 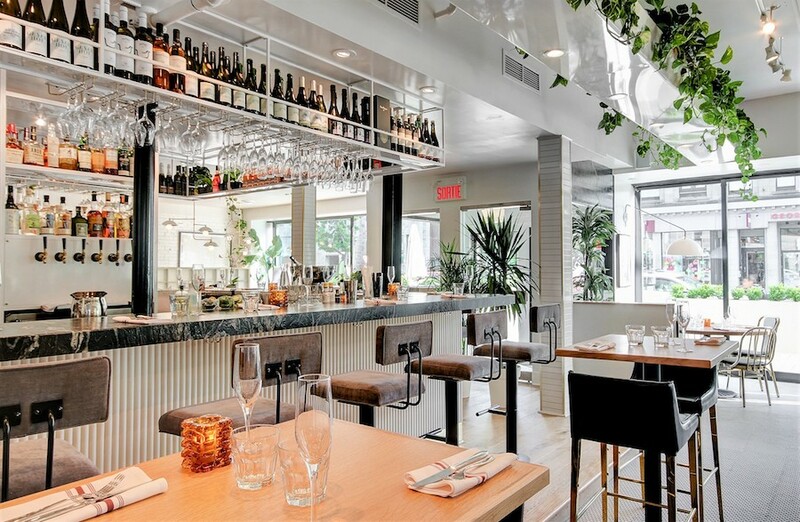 Josephine sits in the space that once housed the storied Continental. After a spectacular renovation, the restaurant is now bright white and brassy and has airs of both French country and marine inspiration. The corner of St-Denis and Duluth is a busy place, with dozens of restaurants within walking distance, and to stand out, the people behind Josephine didn’t hold back. 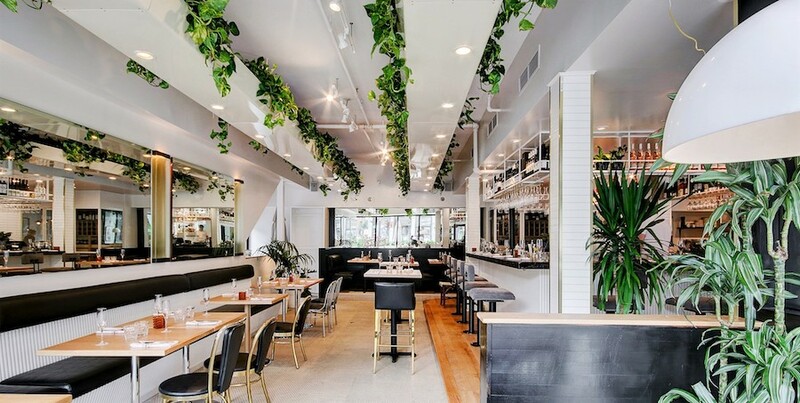 The decor (by noted Amlyne Phillips) is fresh, minimalist and very high-end but not in a way that’s intimidating. 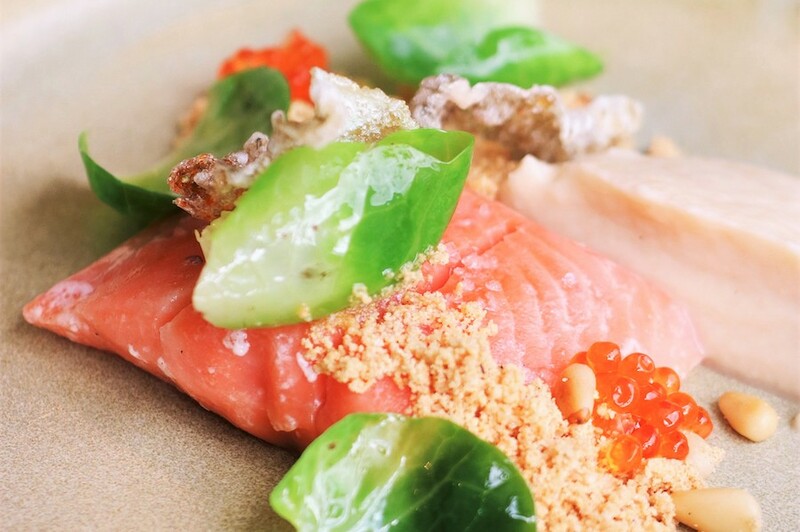 Inventively prepared seafood and expert plating gives Josephine a cutting edge on the Plateau. Our menu consisted of a scallop tartare (prepared with cucumber, jalapeño and mullet caviar) amuse-bouche and followed by deliciously smokey trout mi-cuit with celery and a potato mousse and grilled octopus with dukkah (image below), dried ink and an aubergine purée as entrées. 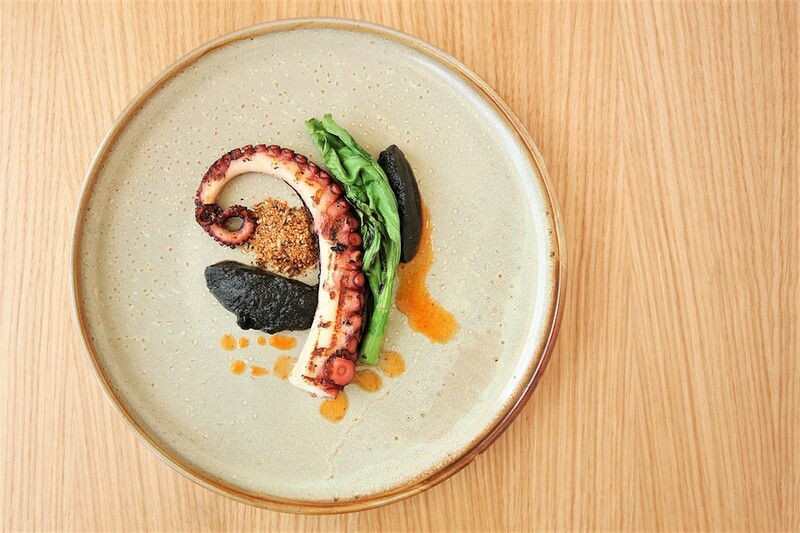 The dukkah elevated the flavour of the octopus, giving it a, spiced, Egyptian twist. I think that might have been my favourite dish of the night. Our main course consisted of an elaborately prepared Icelandic cod dish featuring a walnut purée, roasted cauliflower and a bagna cauda vinaigrette. It was served with roasted vegetables and fried corn. The flaky cod was perfectly and delicately prepared and and the roasted vegetables and cauliflower added a nice autumn touch. Churros and cheese served from the bar brought a delightful end to one of the most impressive restaurant experiences I’ve had this year. In an area that’s slowly finding new life, Josephine is a welcome addition to the Plateau’s restaurant scene.